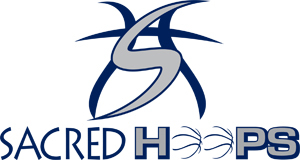 Photo taken and used with permission by Thomas Hebert. 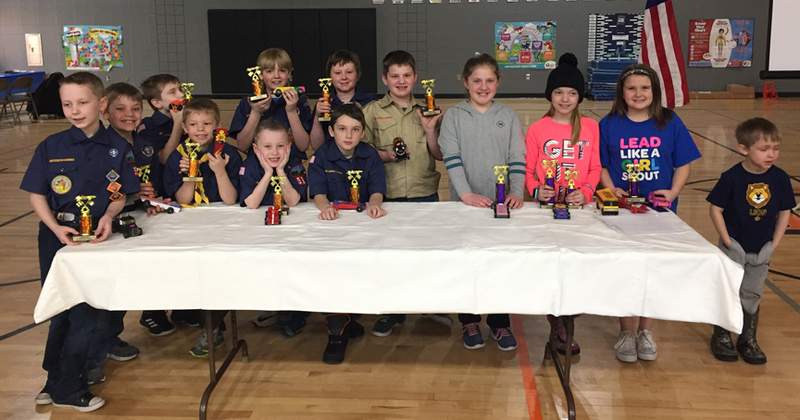 The Dell Rapids Boy Scouts Pack 53 held their annual Pinewood Derby race on Saturday, March 23rd, at the Dell Rapids Elementary School. Den members spent the last few weeks creating their cars for the race. Family members were also able to enter a race with the specially created cars, and the Girl Scouts were once again invited to build cars and race as part of the event on Saturday. The top three Boy Scout place winners will advance to race their cars at the Scout-O-Rama in Sioux Falls. 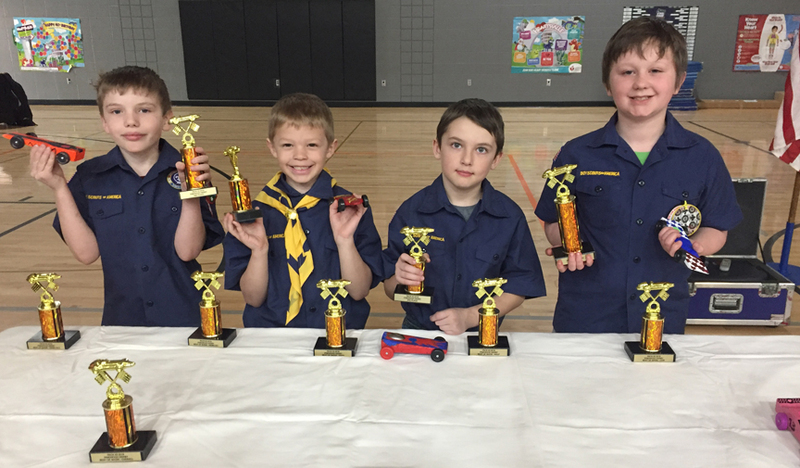 Place winners for the Boy Scouts were 1) Chase Hight, 2) Sean Miller, 3) Levi Anhalt, 4) Tyson Roth, 5) Dylan Aker, 6) Brayden Aker, 7) Behr Peckenpaugh, and 8) Emerson Peckenpaugh. 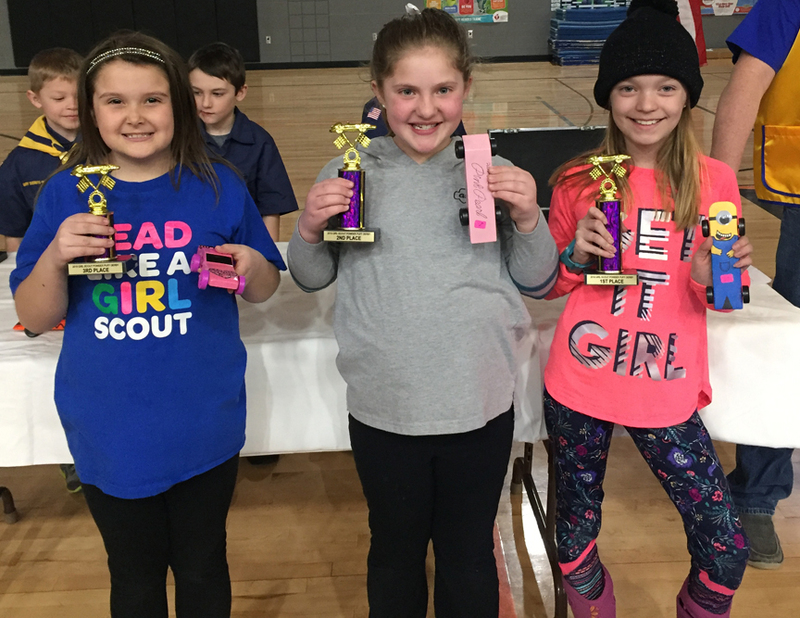 Place winners for the Girls Scouts were 1) Macy Roth, 2) Kaylin Hebert, and 3) Brooklyn Veldkamp. The Open Class winners were 1) Oliver P., 2) Zach Heinemann, and 3)Matt Hollister. The Dell Rapids Lions Club officiated the event.